So, as you found this post I can guess just a couple of things about you… You like tips, tricks and anything that makes life easier, am I right?? And you also are interested in blogging. And if Blogging can make life easier well that is just a win, right?! It can!! 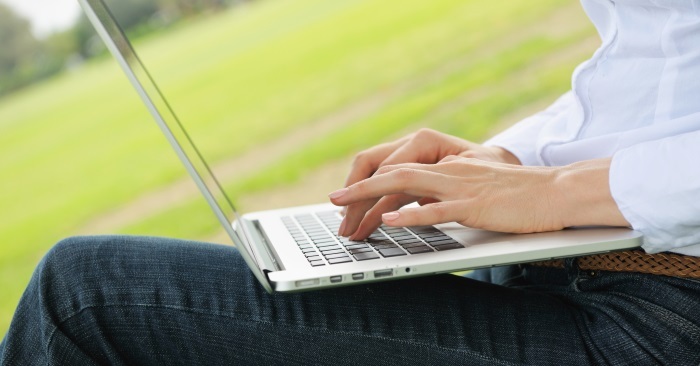 Blogging can be both a way to engage your mind and provide a real income for your family! Just a couple of years ago, I was a stay-at-home-mom looking for something, anything, to engage my mind so I wouldn’t go batty surrounded by toddler gibberish! My hubby came home & told me it was time for me to start a website. That website was Quirkymomma, which now regularly get 6-8 million visitors a month!! But when it first started it didn’t have anything but gumption. To learn the ropes of blogging I began working on the side as a content writer. 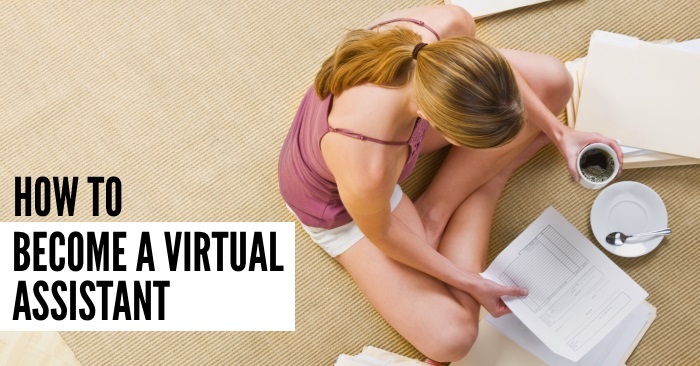 I guess you can say that being a Virtual Assistant (<< that link goes to a free course so you can learn how to be a VA if you want) financed the blog in the early days!! Little did I know that one day I would get to pay-it-forward! Last February (2015) I started this blog as an off-shoot from the first blog I started (and sold). In a year One Crazy House has become a resource to millions of people a month. It pays for my mortgage, utilities and groceries (I have six kids, they eat a TON), and is a source of income for Donella, another stay-at-home-mom turned editor of this site… AND we have six other virtual assistants on our team!! So how can two moms who are working part-time hours create a full-time income source for themselves?? Blogging!! It’s a blessing! The thing is… *YOU* can do this too!! Are you someone who loves your home, your family? Do you love reading blogs online and finding cool stuff, recipes & DIYs, and bringing them to life in your home?? You could do what Donella and I do, and blog about what you find – blog about the things you love, the foods you eat, the antics of your kids, etc. Do it! Get started now! It will take just 20 minutes – and the cost of a cup of coffee – to invest in yourself! 1. Set Up Your Host. For a website to be live on the worldwide web it needs to have a physical place or computer where it lives. Bluehost is a great provider to start your blog with. I am referring them to you as I started out on BlueHost when I was first blogging, their price when you are first starting a blog is unbeatable – currently only $3.29 a month! AND… If you decide to host your website with them they will give you your domain name for free!! They have support available as you work through any kinks as you are getting your site setup too! 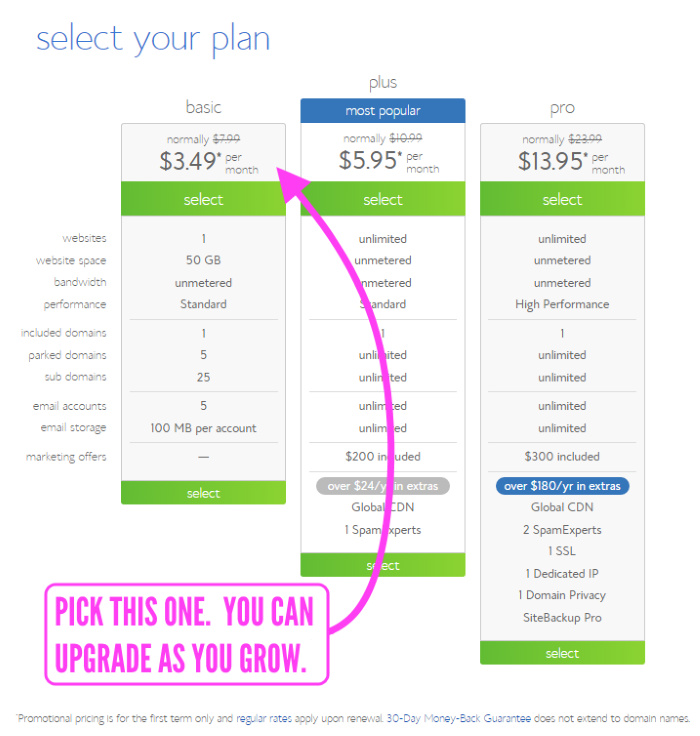 You can pick the lowest priced plan and always bump up as your blog grows. If you are a “go-getter” (we were) you might consider the options that allow you to have unlimited website space. 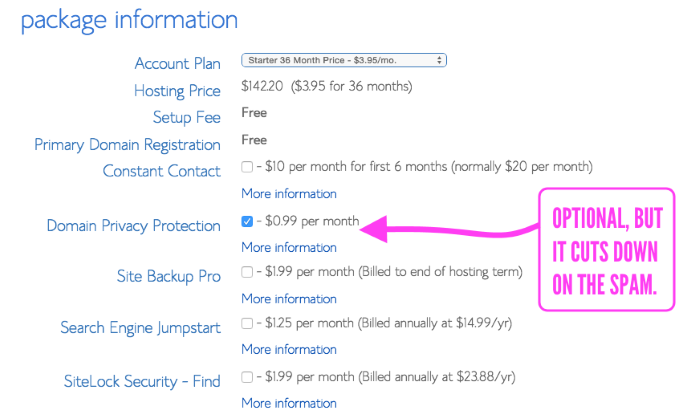 Note: While I have been a BlueHost customer in the past, I am no longer…. BUT even though I am not with them now, I am VERY glad that I started with them. 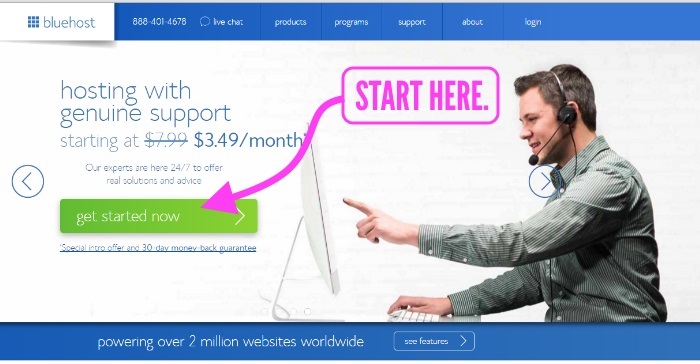 Their price at $3.49 a month to start is *unbeatable*. We currently have a dedicated server hosting (to handle our traffic spikes) with Servously, if you are a big blogger, check them out. This is when you pick and setting up your domain name. Your blog will become an extension of your identity! What name do you want your blog to be called? My blog is called, One Crazy House and you can see it here. Make a list of as many different ideas as you can. Then head over to Bluehost and see if your domain is taken. If it is, try a variation, or one of your other ideas. If it isn’t taken – viola!! Note: I would advise against using something that is NOT .com. The “dot com” URLs are definitely better. 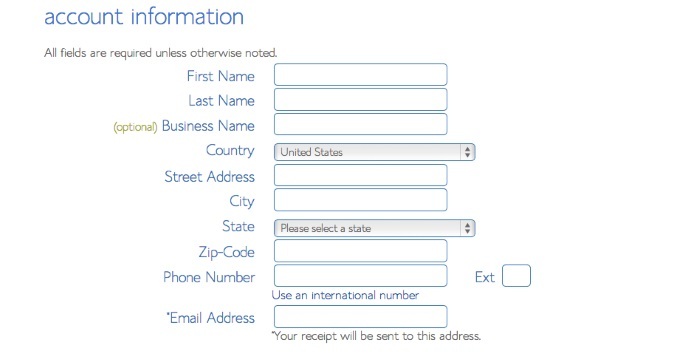 You will need to give them your account and billing information. They will bill you the $3.49 every month. You can cancel at anytime! There are a bunch of optional “perks” or packages you can add to your website. The only addition I would add (and this is only if Spam annoys you) is to get the Domain Privacy – this makes your information more private. Eventually, as you grow you will definitely want an email system, like Constant Contact (or one of the dozens of other programs out there). But these features are not necessary on “Day 1”. WordPress is the most popular (and in my opinion easiest to use) blogging software out there. This site is run on WordPress. It is super easy to use. Once you have it installed you can easily add content and photos! 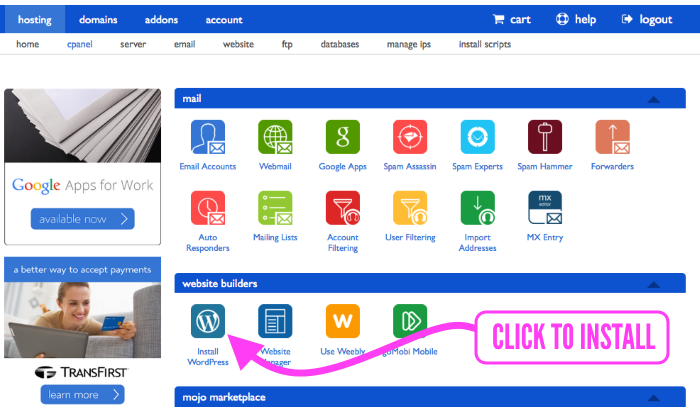 Login to Bluehost and find the website builders section. You will see a W logo for WordPress, click on it. 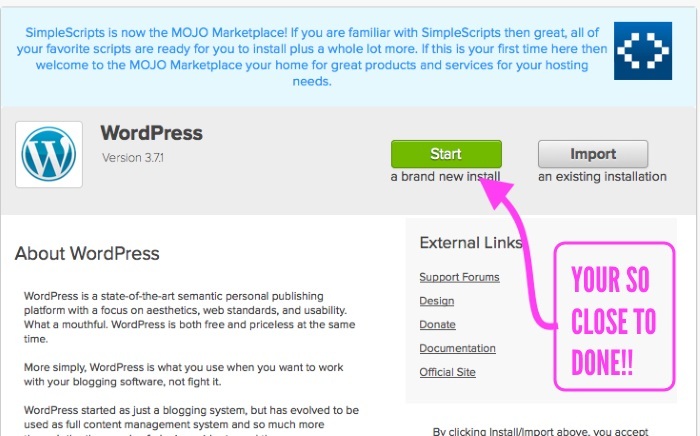 Find the Do-It-Yourself section and click the “Install” button. Then link your domain to WordPress. After you check the terms and conditions hit “Install”. You will get a message that says “Your Installation is Complete” – Way to go!!! You are almost live! Click on the button “View Credentials” and make sure to write down your Admin URL, Username and Password. You will need these to access your site. You can change your User and password later to something easier for you to remember. Now you need to pick a theme! A theme is the skin or the “look” and layout of your blog. 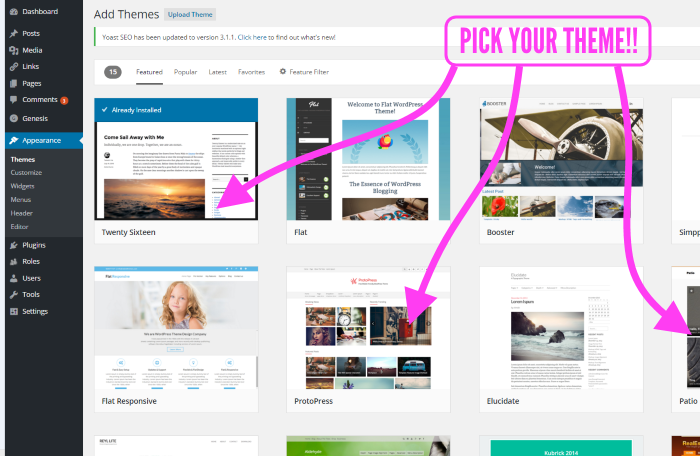 WordPress has a ton of Free WordPress Themes you can go through and pick. Currently, our site is running on the The Genesis Framework. We have no complaints with it and have had it running on our site for well over a year. We are due for a new site design in a couple of weeks/months so I do not know as of yet if we will be sticking with this theme. 4 – Go Forth and Blog!! To access your blog, type in the admin URL that you wrote down earlier into the URL in your web browser. You will see a login screen. Enter your user name and password. You are in!!! You are officially a blogger!! Want to learn more and more about blogging?? Looking for a detailed step-by-step guide to blogging?? *This* is for you! 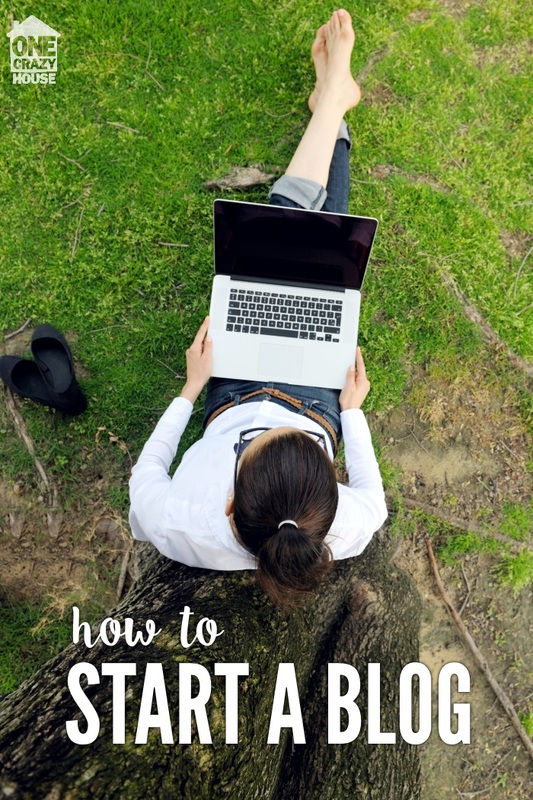 How to begin blogging from the beginning – and make it into a business! This course is only 5 days long, FREE, and will help you get your blog set up – as a business – for future success!! Are you already blogging and looking for the next step? 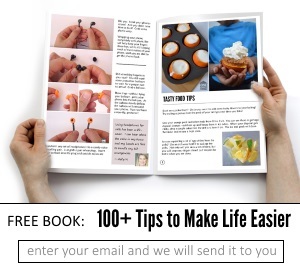 You want to make your hobby into a full-fledged business?? My blogging partner created a course along with Becky and Paula to help bloggers become entrepreneurs! It is brilliant! 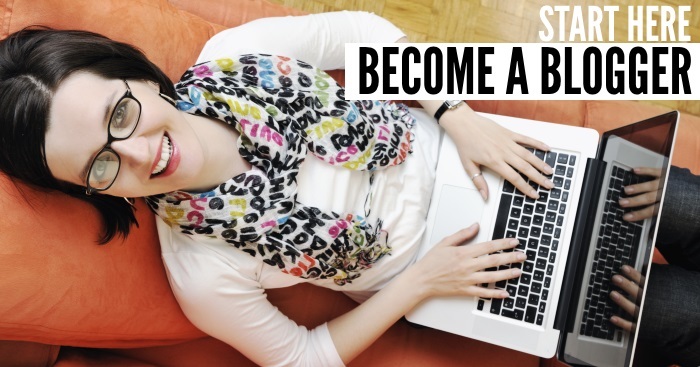 And… in case you want to do what we did, and start your blogging journey getting paid to learn how to blog, and learn from the folks who have established buisnesses, you can become a VA. This FREE course will literally pay for itself in the first full-week you are employed! And they will help you find the gigs!